You searched for domains according to your preferred metrics and found a large list of available ones. Great! But before you purchase the domain there are several things you should consider. It is recommended by online experts that before buying any domain, you should check if the back links on it are legitimate or fake. Here we will explain you how you can figure out if the domain is authentic using a free account from Majestic SEO. Firstly, you put the domain name in the search box located on the Majestic SEO home page. Check the trust flow vs. citation flow rate: if the numbers appear different on Trust Flow and Citation Flow, then chances are that the domain consists of unauthentic back links. Check the Topical Trust Flow Categories: If the back links are shown in similar categories, then the domain must be genuine. But if you see multiple categories or the topical trust flow panel is showing too many different colors, then it might not be genuine. Scroll down and check the anchor text: If the anchor text is showing too many foreign characters or it’s not suitable for the domain, then the domain is probably fake. 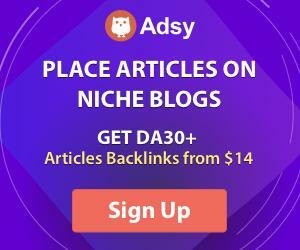 Scroll down and check the back links: If all back links point to one single domain, then chances are that the domain is heavily reliant on it for value. If different domains are showing up, then the links have variety, which is good for a domain. Also, look out for any links that have been deleted. Links that have been deleted shows a sign of a domain that will soon start losing links.